This past week American Airlines learned that the more suitcases are hauled onto the cabin, the longer it takes to get people on board. Passengers boarding with American Airlines with items small enough to store on the floor will now be allowed to board before passengers with large suitcases. This in turn will help reduce all the traffic of roller bags down the aisle of planes. This new change in process should help planes depart gates faster along with improve on-time arrival rate. 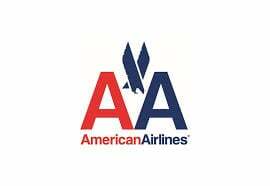 Before implementing this new change, American Airlines more than likely came up with a type of process improvement model like Deming Cycle, PDCA. Plan, is the first step on the cycle, where the airline had to describe the process, define customer expectations, identify causes of problems, develop potential solutions, and finally select the most promising solution. In this case, customer expectations probably included on time arrivals to destinations. The second step to the Deming Cycle requires a pilot study to test the potential solution. In the article, it is mentioned that American Airlines conducted a four-week test demonstrating the new boarding procedure and proved to cut off an average of two minutes of flight loading time. Two minutes may not sound like a lot, but as Daniel Bellavigna, supervisor of continuous improvement, says “it adds up”. The third step of PDCA, check, means examining the results of the study and determining if the new process performance has improved. In American Airlines case, their four-week pilot study performance did improve. It reduced boarding time by two minutes. Act, is the last step of Deming’s Cycle. In this phase, the best solution is implemented with a process to monitor process performance. The airline company implemented the new way for boarding, passengers with small carry ons to board before those with suitcases, this past Thursday, May 16. Along with the PDCA cycle, the company probably also came up with a process flow diagram in order to understand their process better and to help simplify and redesign the process. This process mapping most likely helped to come to their conclusion. A cause and effect diagram could have also helped American Airlines. The effect being, late arrival flights, and one of the causes being, too much time spent on boarding passengers onto the plane. In March, about 20 percent of U.S. airline flights were delayed, and about 7 percent of these delays were due to late-arriving aircraft. With American Airlines new boarding plan, it is hoped to bring down the percent of delayed flights. With their new boarding plan, American Airlines is making passengers with lots of luggage pay, but not only in money but also in the amount of time spent in line waiting to get on board. They hope with this new plan, passengers start to carry less in their carry ons and that other airlines start to adopt the same procedures. What other ideas would you recommend for airlines to improve on time arrivals.? I think that this is a great idea for American Airlines to implement. The amount if time that it takes to board and de-board a plan can be very lengthy depending on the amount of people on the plane. I wonder if the process would be faster or slower if people with small suitcases boarded last, instead of first. I agree this is a really great process improvement. I think many industries could learn from airlines because they are always looking for areas to improve and differentiate their procedures and process. Although it’s risky letting the bigger bags go last because there will be less room- so time may be saved loading but then they will have to add on time for them trying to find space for the big bags or taking it down to get loaded into the plane with the other checked baggage. Having people file in line according to their seat assignment might be a good idea too so people aren’t trying to leap over or block up the aisle to pass. I think all airlines should really utilize the cause and effect diagram as a way to pinpoint ways to save time. I definitely agree with this new process. If I’m boarding an airplane, and the person in front of me has 2 heavy bags that take a few minutes to haul into the overhead bins, it delays all the passengers behind them and causes long holdups and traffic jams while getting on the plane. This is a great way for American Airlines to reduce the time it takes for people to board, and therefore reduce delays and late departure times. THe only problem I can see with this, is that people who paid more for their ticket (business vs. economy) might not like other people going before them to board the flight. SInce it has always been done this way, regular patrons could become upset. Another idea would be to eliminate large bags completely, so people don’t have to worry about the issue at all, which would probably reduce delays even more.